Home » Introducing Printed Brew! DCF is extremely excited to announce our latest partnership and extension into the edible printed world! Printed Brew is a truly innovative printing system that creates edible art on your favourite beverages and more!! Using ink jet technology and specially formatted software we use full colour food grade edible ink to print onto food and beverages. For years DCF has offered a wide range of edible printed sweet treats- however, this is a brand new venture, and a first of its kind technology – which has the ability to print right into your favourite beverages and desserts in just seconds. Currently we’ll be offering the printers and service for live events- mainly with the ability to print on beer, coffee, hot chocolate, milkshakes, and of course custom desserts. Our “sweet selfie” station is quickly becoming one of the most popular live event stations! Guests pose for pictures, and in mere seconds, we print their edible images in front of their eyes! Our software even allows a guest the ability to communicate and upload directly to the printers (so if you have a special image on your phone, shoot it over and we will print it live on the spot)!!!. Check out some samples from recent events! 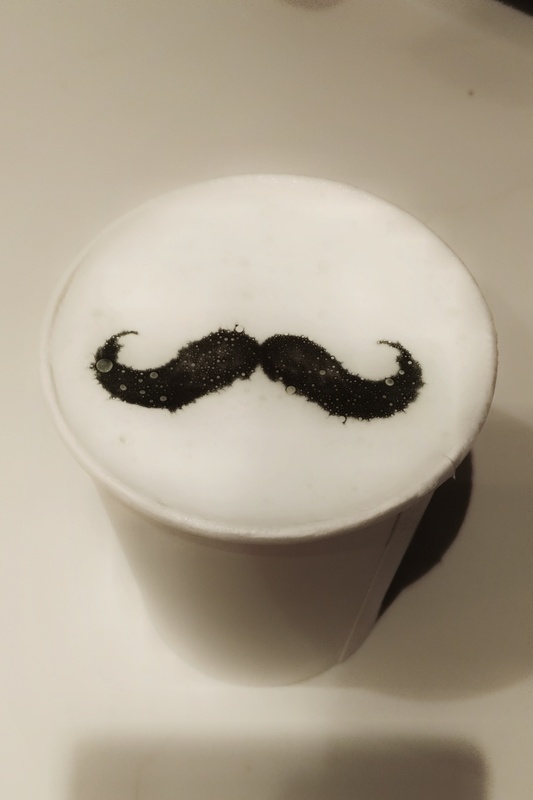 Every coffee looks better with a mustache! A hot chocolate is much more fun when you drink your face! Desserts printed with a custom logo on top! Stay tuned, as in the next few months we will be expanding the Printed Brew line to offer sales of the machines (mainly for retail locations, bars, restaurants, venues, and strategic partners). Contact us if you are interested in booking an event, or think you may be a good candidate to purchase a machine.